Learning the top things to know about visiting Iceland can always help tourists have a memorable vacation in this part of the world. Iceland is a unique country, especially given its location on the globe. This mountainous island country is practically situated between North America and Europe. Despite its close proximity to the Arctic Circle, one may be surprised to know that this country’s general climate is considerably mild compared to its Scandinavian counterparts. This is all due to the high volcanic activity in the region enabling a number of geothermal springs to thrive well. Iceland’s history began with migration. Although the Vikings are officially credited for its discovery, some scholars have debated that Irish monks arrived prior to their settlement. Until today, Iceland has been a popular destination for immigrants. The latest to arrive are usually coming from Eastern Europe or Southeast Asia. The ecology of Iceland is one of the world’s finest ever seen by many travelers. However, one of the top things to know about visiting Iceland outdoors is that this is the part of the world where Mother Nature gets whimsically feisty. Glaciers are so tempting to explore, but they can often be the worst killers. They have a habit of crumbling when visitors least expect them. In fact, the unpredictable weather in Iceland can be very dangerous for those who have not acclimatized to its environment. Some people get sick because of the humidity and cold. When people ask tourists “how do you find Iceland?” or “what do you think of Iceland?” they are not actually asking for honest opinions. This is one of the few things that surprised unprepared tourists and it is bad enough to cause unpleasant relationship with locals. If would be wise to stay positive when responding to this sort of question. This question is not actually posed to illicit frank responses but to counter the negative stigma caused by the recurring bad jokes about their country. Perhaps one of the most out-of-the-ordinary top things to know about visiting Iceland is that its locals are very adamant towards their belief of the huldofolk (invisible people). Anyone who thinks that no nation should believe in such nonsense in these modern times better keep it to themselves. This skepticism is just plain rudeness as far as the locals are concerned. People with an open mind generally do not have a problem with this kind of environment, especially those coming from countries steeped with spiritual or mythological traditions. If there is one interesting about Iceland, it is the fact that this country is one of the very few around the world where hitchhiking is very safe. There is a very high percentage that drivers will be giving strangers a free ride. Outside Reykjavik, however, it takes an average of one hour of wait for every car to pass by. While the top tourist attractions in Guerney and Alderney aren’t as popular as that of France, their sceneries deserve a look or two. These two islands are part of the geographic grouping called the Channel Islands, together with the Bailiwick of Jersey. These islands are just right off the coast of S.t Malo Bay and are technically part of England. Guernsey is known for its pristine, white sand beaches and picturesque floods, while Alderney, a part of the Guernsey, is known for its ruins, rocky terrains and lack of trees. Despite their differences, the top tourist attractions in Guernsey and Alderney deserve a place in the map of top tourist destinations. The small town of St. Anne is great starting point for your adventures in Alderney. This quaint little town was established in the 15th century by French inhabitants. To date, St. Anne has preserved most of its old school charms, from cobblestone streets and cozy pubs, making it one of the top tourist attractions in Guernsey and Alderney. Fun activities in St. Anne include golfing, fishing and wind surfing. A mile away from Alderney’s shores is the deserted island called Burhou. This is a perfect site to for bird watching, except during nesting season when tourists are not allowed in. In Telegraph Bay, marvel at the Two Sisters, a pair of odd rock formations with different colors. 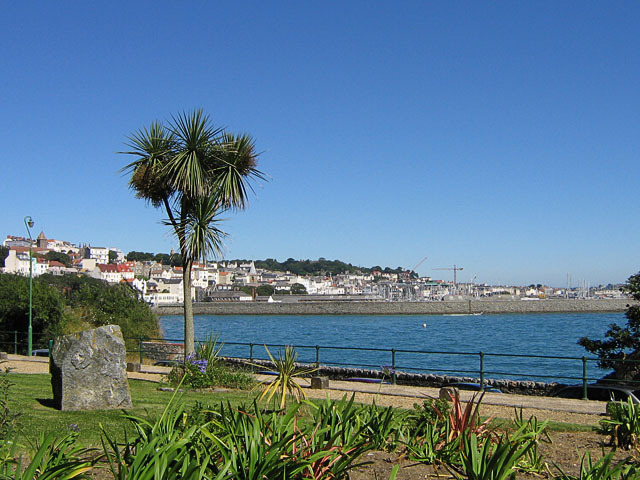 Start your adventure in Guernsey in St. Peter Port, where you can find the hippest shopping districts, historical sites and a whole lot more. Climb up to the highest point in the port to marvel at the panoramic view of the entire island, or enjoy some of its fun activities such as bird watching, diving, fishing and sailing. Once you’ve had your fill in St. Peter Port, check out some of Guernsey’s notable landmarks, such as the 12th Century Church, Castle Cornet with its Elizabethan architecture, the Martello Towers beside the ruins of Vale Castle and Vale Church, and the famous Hauteville House, which was once the temporary residence of famous French writer, Victor Hugo.